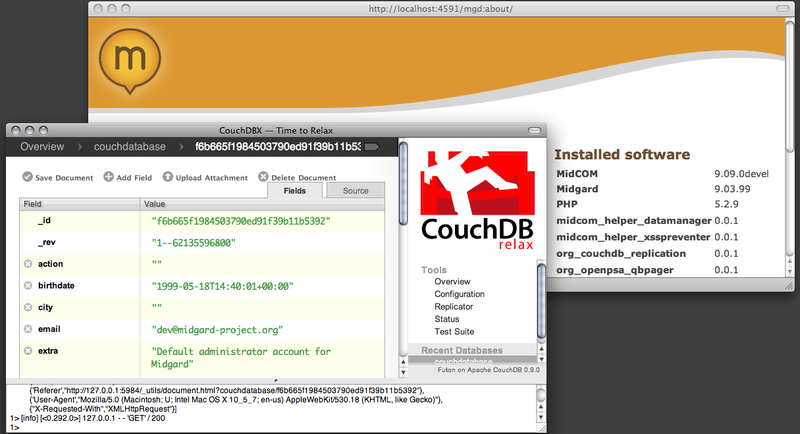 CouchDb is a really cool document-oriented map/reduce database that is nowadays an Apache project. Previously we created the distributed CRM application Ajatus on top of the system and ported CouchDb to Maemo. Here in Gran Canaria Desktop Summit CouchDb has been somewhat a hot topic, as the Ubuntu project is planning to use it as the content repository for desktop applications. 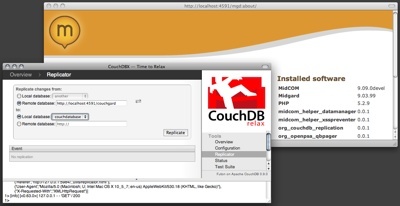 We had a lunch with Jan Lehnardt today and discussed how to make Midgard2 and CouchDb interoperate better, and as it happens, it is actually very easy: CouchDb has a replication protocol that we can support also in Midgard, making the two repositories able to synchronize content with each other. 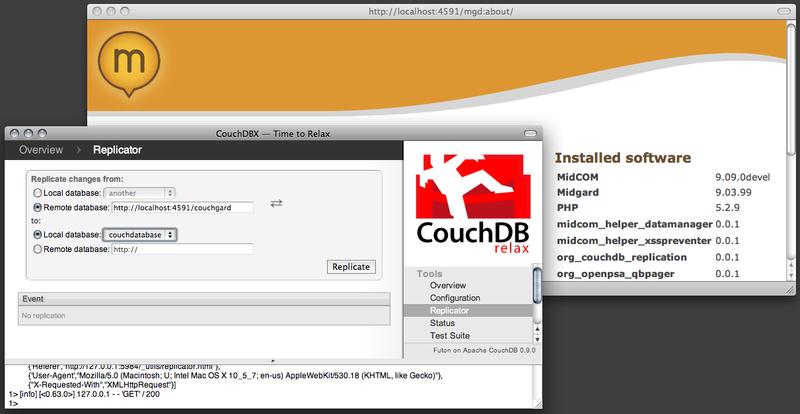 There is now a first test implementation of Midgard-to-CouchDb synchronization support, with better Midgard integration and CouchDb-to-Midgard coming soon. Check out the Midgard MVC component on Github. Anyway, already pretty cool! I'll talk more about this and repository-oriented application development in my Midgard2: Content repository for desktop and the web talk tomorrow at 16:45. Be there! 14 November 2007. 1 minute read. 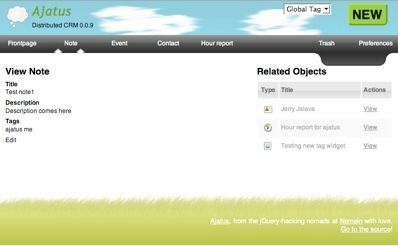 While there is no public release yet, I though to give a heads-up on a project we’re working on with Jerry: Ajatus is a distributed, or peer-to-peer CRM system built on top of CouchDb.